Dublin has been named the 12th best ‘Tech City’ in the world, according to a new report from UK real estate provider Savills. The report analysed over 100 different metrics, from the number of days needed to start a business to the cost of a flat white coffee. They created an interactive globe which highlights each city on the list and ranked them under five different categories: Business Environment, Tech Environment, Buzz and Wellness, Talent Pool and Real Estate costs. Dublin came 12th out of a total of 22 cities, with Savill saying that: “Dublin offers a young, tech-savvy workforce and a host of big names including AirBnb, Apple and Facebook. When it came to Business Environment, which looks at things such as investment environment, business costs and start-up culture, Dublin was above the average. The average GDP per capita was around €46,000, with Dublin coming in at around €58,000. Dublin was below the average when it came to the amount of annual passengers across city airports. The average for the other tech cities was 48 million passengers, with Dublin having 25 million annual passengers. Dublin was slightly below the average for broadband download speeds, with the average in tech cities being 19.4 megabytes per second (mbps) and Dublin being 17.4 mpbs. Dublin was also below the average when it came to start-ups per 1000 people, with Dublin sitting at 1.1 and the average being 2.3. Possibly the most important metric was the price of a flat white coffee. Thankfully, Dublin was below the average price, with a flat brew coming in at €2.75 and the average being around €2.90. Dublin was also below the average when it came to commute times. The average journey to work in Dublin was around 26 minutes and the average in other tech cities was 32 minutes. When it came to the city’s youthfulness, tech education credentials and ability to attract talent, Dublin was ahead of the curve. In terms of population growth, Dublin was above the average expected population growth for the next ten years with 11%, compared to the average which was 10%. Finally, when it came to real estate costs, Dublin was below the average for weekly residential costs. Dublin was well below the average of €1,070, sitting at around €770. The full list saw cities from all over the world being included, with cities such as : Santiago, Tokyo, London, Berlin, New York and San Francisco making an appearance. Surprisingly, San Francisco came 2nd on the list with Austin, Texas taking the top spot as the world’s best ‘Tech City’. 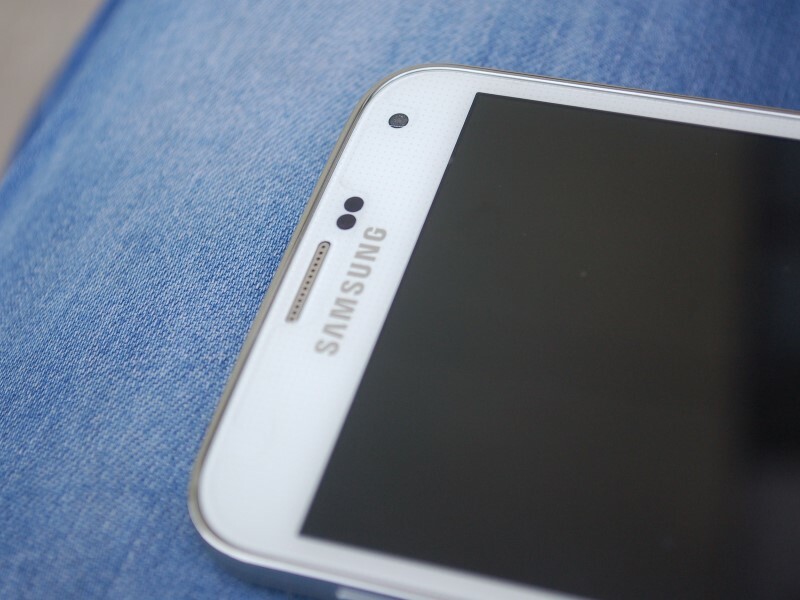 Leading Korean smartphone maker Samsung Mobiles is India’s most trusted brand followed by Sony and LG, according to survey launched in Kolkata on Thursday. As per the ‘Brand Trust Report India Study 2016’ issued annually by the TRA, the top five most trusted brands are Samsung Mobiles, Sony, LG, Nokia and Tata. Automobile major Honda are at six followed by Bajaj on number seven with Dell and Godrej being ranked eighth and ninth respectively. ICICI Bank rounds up the last of the top 10 spots. The sixth edition of the study involved 2,500 consumer-influencers across 16 cities in India and generated 6 million datapoints and 20,000 unique brands from which the top 1,000 brands have been listed. The brands have been listed under 267 different categories. According to the survey Kingfisher beer is the most trusted alcoholic beverage, and Google is the most favoured in the internet category. On the personality front, megastar Amitabh Bachchan tops the list followed by Bollywood hunk Salman Khan while former India cricket captain Sourav Ganguly figures at number 10. According to the TRA research head Sachin Bhonsle, 24 of the 41 companies based in eastern India, have registered a slump from their previous rankings including diversified conglomerate ITC, Berger Paints and Emami. “The highest number of brands in the East is from the bath/beauty category with five brands- Boroline, Boroplus, Vivel, Fiama Di Wills and Fair & Handsome, while there are three brands each from the biscuit, diversified and the jewelry categories,” said Bhonsle. 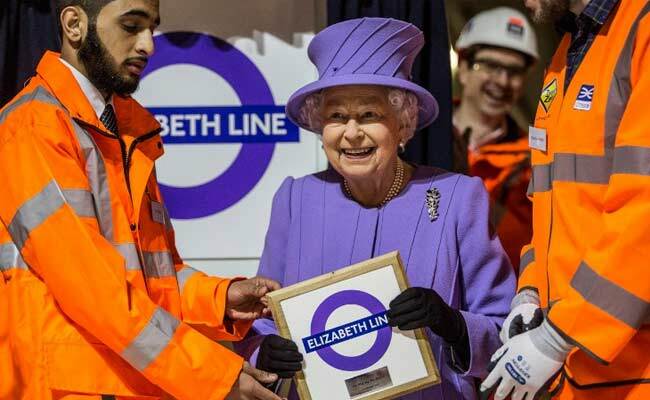 LONDON: A new commuter railway spanning London will be renamed the “Elizabeth Line” in honour of Queen Elizabeth II when it becomes fully operational in 2018, the London mayor said today. The queen visited works for the “Crossrail” project in central London today with mayor Boris Johnson, who announced plans to rename the east-west line when it opens through central London. 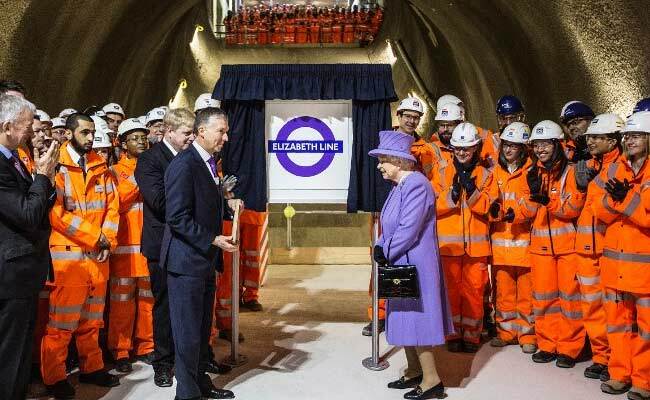 “As well as radically improving travel right across our city, the Elizabeth line will provide a lasting tribute to our longest-serving monarch,” Johnson said. The line, costing 14.8 billion pounds ($20.1 billion, 18.9 billion euros), will link Heathrow Airport in the west to the financial city in the capital’s east. The queen plunged 28 metres on a lift to inspect works deep under the Bond Street station in the heart of London’s shopping district. She met workers on the mammoth project, which began in October 2009, and unveiled its purple logo — the same colour she was dressed in. The London Underground, which celebrated its 150th anniversary in 2013, is the world’s oldest rapid transit system and Elizabeth was the first British monarch to visit it, in 1969, to open the Victoria Line. Her son Prince Charles inaugurated the Jubilee Line — named in recognition of the queen’s Silver Jubilee — in 1977. When completed, the Elizabeth line will be 136 kilometres (84.5 miles) long and will have 40 stations, linking Reading to the west of the capital with Shenfield in the eastern county of Essex via the city centre. Around 200 million passengers per year are expected to use the service, which it is hoped will relieve pressure on London’s creaking transport network.